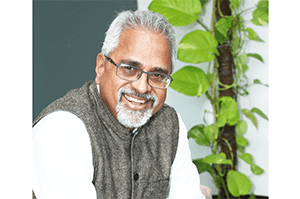 An Economics graduate from Loyola Chennai, Madhukar Kamath studied Management at XLRI Jamshedpur. He has over four decades of experience in Advertising and Marketing Services. As the Group CEO & MD of the DDB Mudra Group, he led its transformation from an Advertising Agency into one of India’s leading Integrated Marketing Communications Groups. In 2013, Interbrand, the world’s leading brand consultancy appointed Madhukar as Chairman, Interbrand India. Madhukar has actively participated in and led several industry bodies. He has served as the President of AAAI (Advertising Agencies Association of India) and Chairman of ASCI (The Advertising Standards Council of India). Currently he serves on the Board of ABC (The Audit Bureau of Circulations), Music Broadcast India Ltd. (RadioCity) and Plan International India. Madhukar was also the Chairman of the Mudra Foundation and the Governing Council of MICA, India’s foremost Business School for Strategic Marketing and Communications Management.